Summer is a great time to try on new colors, outfits, and accessories that maybe you don't touch during the other months of the year. 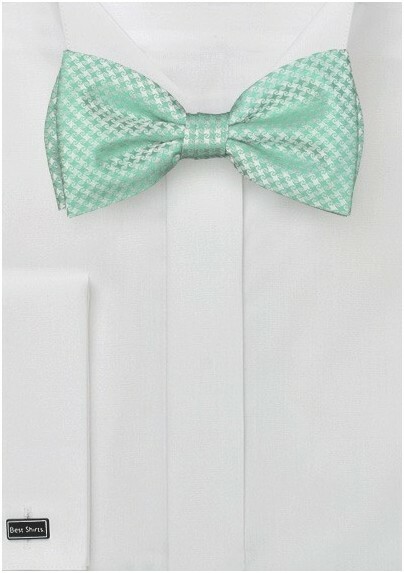 Ready to stretch beyond your usual necktie, this clover green Houndstooth design bow tie is a perfect way to break into the summer spirit. Pair this popular item from Puccini up with your gray suit and wait as the compliments roll in, it won't take too long. This item is also available in a matching pocket square and necktie. Made from a woven, durable microfiber material. 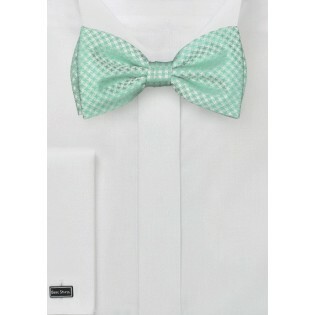 Style: Pre-Tied Bow Tie | Length: Adjustable to 20"